J.H. Wagner & Sons - Monumental Masonry specialists providing memorials for your loved ones. Complete all the fields below for an obligation free quote. J.H. Wagner & Sons provides quotes free of charge and without obligation. For accuracy in repair and restoration quotes our qualified stone masons will inspect the memorial when next in the area for other works and a fully detailed written quotation will be provided. Repair inspections in country Cemeteries may take slightly longer for completion but will be provided as soon as the opportunity is available to view the memorial. Please feel free to include photographs with your enquiry if available. Thank you for your enquiry. The friendly staff of J.H. 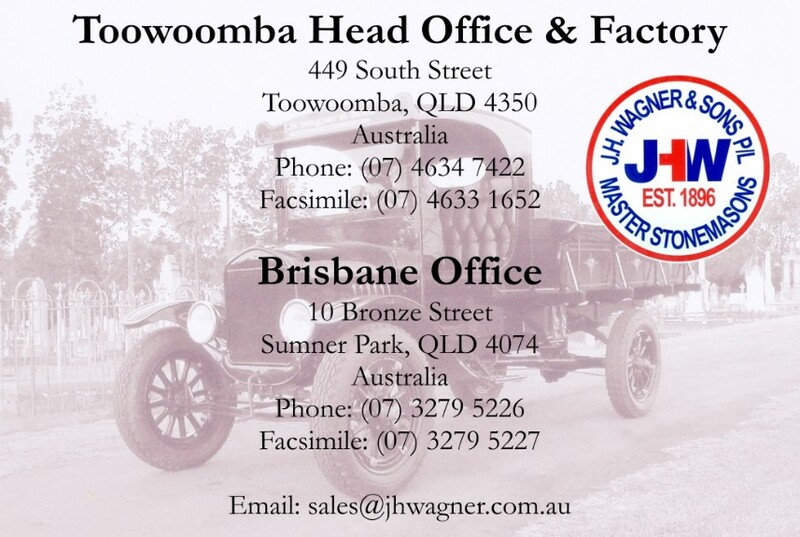 Wagner & Sons will contact you very soon.